Ontario East British Home Child Family (OEBHCF), in partnership with the St. Lawrence Parks Commission are once again using the Aultsville Train Station to house a British Home Child exhibit on weekends this autumn. This little known part of our Canadian heritage is showcased at the Aultsville Train Station near Upper Canada Village on British Home Child Lane off of County Road 2 between the villages of Morrisburg and Ingleside. Volunteers from the Ontario East British Home Child Family organization are on hand at the train station to answer any questions and provide information about the role that British Home Children played in the history of our area, our province and our country. As well, on display, are artifacts and documents on this subject. After travelling to Canada by ship and spending time at one of the many receiving homes located in this country, the British Home Child would often travel to their new “home” via train. There is little doubt that many of these littlest of immigrants would have been found waiting in or near a building such as the Aultsville Train Station for pick up by their new “family”. It is for this reason that the Ontario East British Home Child Family, which seeks to preserve and promote the story of the British Home Child, approached the St. Lawrence Parks Commission and Upper Canada Village to seek permission to house a collection of memorabilia and information on British Home Children in Canada at the Aultsville Station. 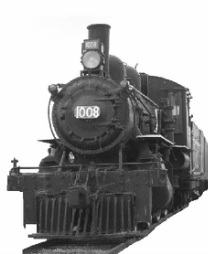 Plans have been made to exhibit again at the Aultsville Train Station in 2019. Please refer to "Upcoming Events" to view the Museum's dates and times. 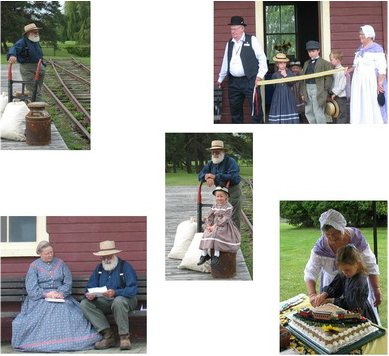 On Saturday morning, August 31st about 40 people gathered for the official opening of the Aultsville Station on the grounds of Upper Canada Village. Guests and members wandered through the two paneled rooms of this lovely old building. They took time to examine the displays, photos, momentos that have been donated by family members – present descendents of British Home Children. There was a collection of books that have been written over the years about child migration to Canada. Of special interest was a large quilt of children’s pictures and other artifacts that had been borrowed from Lori Oschefski of Families of British Home Children / British Child Migrants. Just before 11am a group stood on the station platform for a photo op which was later on the pages of the S.D.&G. County newspapers. Here was a farmer meeting the train ready to pick up orphans who had travelled from Britain by ship and rail to work on his farm – a scene from earlier times. Five persons posed in period dress – Tom Brownell whose grandmother was a Home Child; four great grandchildren of a Home Child. Glenna Walkden, the president of the Ontario East British Home Child Family, welcomed the guests. She spoke of the positive and happy cooperation that the group has received from the managers and staff of Upper Canada Village for the use of the station in preparation for the events in September. Tom Brownell and Judy Neville portrayed by vignette their popular “Letter from Robbie”. The children cut a colourful ribbon at the door of the station using a treasured penknife once owned by a Home Child. Refreshments were served – lemonade and an iced cake with a train on top!